Filing for bankruptcy is difficult both emotionally and financially. More than anything, though, bankruptcy should be viewed as the gateway to a better future, one free of harassing phone calls and crippling debt. If you and your family are considering filing for Chapter 7 bankruptcy, there are many things you’ll need to keep in mind. Working alongside an experienced bankruptcy attorney can ensure that your interests are protected. As part of the liquidation process, filing for Chapter 7 bankruptcy provides you and your family with a fresh start. Think of Chapter 7 like a do-over, albeit one that protects you and your loved ones from wage garnishment and intimidating phone calls. Keep in mind, too, that the Chapter 7 bankruptcy process is usually completed in just three to six months, meaning that light at the end of the tunnel is getting brighter every day. Bankruptcy attorney Maira Stirbis understands that financial concerns are among the most stressful a person can harbor. 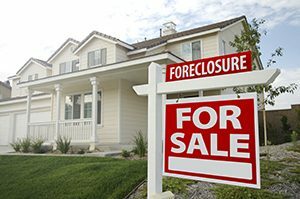 Questions concerning foreclosure, your credit score and what constitutes non-exempt property are just a few of the many things you’ll need to consider as you move forward with the Chapter 7 bankruptcy process. Having helped Lakewood families for 20 years, Maria has the experience and professionalism to help you secure a better tomorrow. Liberty Law LLC has been helping Lakewood and Pierce County families overcome Chapter 7 bankruptcy issues since 1996. Dial (253) 573-9111 now to schedule your free consultation.